Would like to see a few of these “Movies Hipster Kit” posters on my wall. They are the creations of French film maker and graphic illustrator, Alizée Lafon. 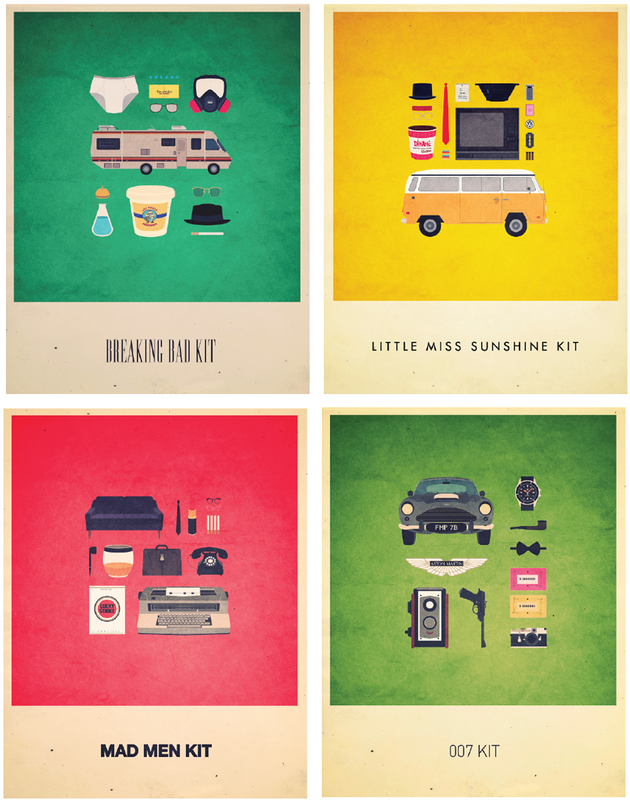 Liking the retro feel and minimalistic approach of the iconic objects from each film. You can follow her here on Tumblr and purchase her prints on Curioos. Images: Courtesy of Alizée Lafon.